Technology enables young people in many positive ways. Its part of how they communicate with friends, how they learn and an inevitable part of their future. Yet, the reality is that computers, phones, tablets, social media and games expose students to strangers, many of whom are simply not nice, and some whom may, in fact, be dangerous. The Savvy Cyber Kids Cyber Ethics Programs gives children the “modern street smarts” that are required for digital safety – engaging with them on what they are experiencing and empowering them to be safe by making appropriate decisions in the online world. 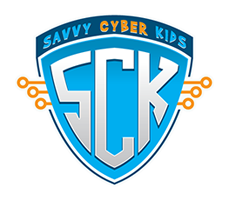 The Savvy Cyber Kids Cyber Ethics Programs offers schools and communities a multi-age platform of customizable and interactive engagements that speak directly to younger children, pre-teens, teenagers, parents and educators. In this introduction to safety in the virtual world, the program follows the content of The Savvy Cyber Kids at Home Book Series, leading to discussions about private information, cyber strangers, bullying on the playground and online, and screen time balance. An art project allows each child to create their own super hero identity to use online to keep their information private. Alternative projects, based on age and time, include designing super hero-themed capes, coloring pages and more. The Visiting Author Program features author, Ben Halpert reading from one or more selections from The Savvy Cyber Kids at Home Book Series. This program delves into the concepts of information and privacy, exploring why they are important and how they can keep you safe in the cyber world. Most relevantly, the program continues to explore the concept of a cyber stranger and encourages children to see anyone they interact with online—unless they are family or a real-world friend—as a stranger who should always be treated as a stranger. A discussion centered on relevant, modern parables from the cyber world encourages the students to use respect and empathy with online interactions. The program reinforces the need to always question what they see online and seek adult advice to assess the authenticity and safeness of what they are experiencing. The program illustrates to the students how to take charge of their online privacy and image, from setting social media platforms to private, understanding the limitations of privacy settings, recognizing the need for appropriate online behaviors, to how to respond to negative interactions online—with persistent strangers or cyber bullies, and the permanence of their online identify and its impact on obtaining an internship, getting into a college and getting a job. High school students explore how they are the curators of their own online identities—that every selfie, every post and every comment shapes how others view them and becomes a resume from which they are judged in the short-term and well-beyond. The students dissect the false concept of online privacy, examining the technologies behind what happens when a photo is taken—even if not posted—and how that image is never truly private or secure. This program directly addresses the dangers of the virtual world, via Savvy Cyber Kid’s “Social Media Algebra” that explicitly shows the vulnerability of young people connecting with strangers online and the seemingly harmless ways predators target young victims. Real-world examples speak directly to the dangers of typical teen online behavior and encourage the students to use the critical thinking skills they apply in their academics to their experiences in the virtual world. Today’s youth are growing up in a world that encourages a deep involvement with technology. Yet these same children are oftentimes unsupervised and unprepared to play safely on the digital playground—where they can very easily make bad and potentially dangerous decisions. The adults in young people’s lives have a responsibility to guide young people, who are spending a large part of their lives immersed in the digital realm, with a comprehensive cyber safety and cyber ethics education. At this session, just for parents, Ben Halpert gives parents the tools to educate their children with the “modern street smarts” that are required for digital safety—showing parents how to engage with their children on what they are experiencing and how to empower their children to be safe by making appropriate decisions in the online world. The student programs are enhanced when paired with a parent presentation, ensuring that the technology conversation continues both after the presentation and for years to come. At home, parents can further emphasize the need for privacy and the principles of Cyber Ethics, including the need to thoughtfully maintain a positive online persona and apply appropriateness and empathy to virtual decision-making. If your child is a gamer, then the odds are that he/she is also regularly watching other gamers play on Twitch or YouTube instead of watching traditional tv. Some players have significant social media followings, channel donations and subscriber numbers, even personal endorsement and branding deals. Your gamer may see themselves heading down this path. Gaming enthusiasts also have a host of other well-paid career options in the gaming world to consider, from programmer to artist and live production roles. Who knows, maybe your video gaming child can go from an everyday school kid to a lucrative career! And, Esports is coming to a high school near you, either as a club or as a Varsity lettered sport! Pretty soon, your kid may ask to play video games in school leagues. Savvy Cyber Kids tells parents what they should know if they have an avid gamer and/or their child is considering participating in Esports school activities. This workshop examines the best uses of technology in schools, exploring the relevance of its presence in the classroom. By gaining a deeper understanding of the current technologies used by kids—from social media platforms, texting and video apps and microblogging websites, to so-called anonymous apps and dating apps, teachers are better equipped to positively influence student technology habits outside the classroom. Teaching with Technology emphasizes the importance of parents and teachers jointly recognizing the pervasive impact of technology in the lives of today’s kids and provides the teachers with tools and strategies to make technology a positive force and to assist parents with learning how to talk to their children about technology. An eye-opening discussion on how technology has improved getting older, ways to help identify and protect yourself and your loved ones from potential scams and the latest digital tools that can help you age in place longer and smarter. How To Represent On & Off The Field: Team members are naturally taught to represent their team and their school well both on and off the field. But often times these lessons are forgotten in online worlds. Savvy Cyber Kids educates coaches and team members about what it means to be an MVP even when you don’t have your jersey on. Appropriate for high school teams, collegiate teams and professional sports teams.